--- Kaikki --- Bach Beethoven Brahms Dvorak Elokuvamusiikki Gardel Carlos Gershwin Gurlitt KOKOELMA Look MUUT Mendelssohn Mozart W.A. 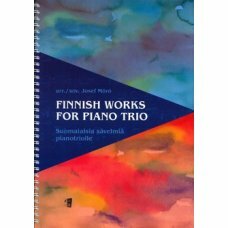 Mussorsgki Piano Time -sarja Pianoworks -sarja Rachmaninov Rae Satie Schubert Sibelius Strauss Vivaldi A. 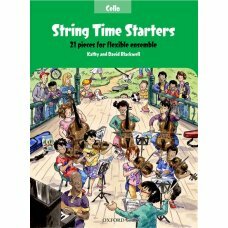 STRING TIME STARTERS CELLOBLACKWELL, David and BLACKWELL, Kathy .. 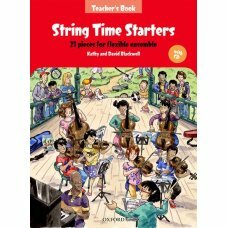 STRING TIME STARTERS TEACHER PACKBLACKWELL, David and BLACKWELL, Kathy 21 easy, characterful ense.. STRING TIME STARTERS VIOLABLACKWELL, David and BLACKWELL, Kathy .. STRING TIME STARTERS VIOLINBLACKWELL, David and BLACKWELL, Kathy ..
A series of popular music for working string quartets. 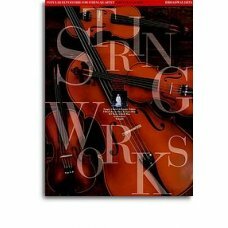 Light enjoyable repertoire pieces and enterta..
Stringworks Film Themes for String Quartet A Whole New World Moon River Schindler's List ..
SULIC/HAUSER 2CELLOS BKThis folio features accessible duet arrangements to 11 songs as ..
Finnish works for piano trioarr./sov. Josef MóróContent:Pacius: Ballade / Balladi • Linsén: A Summe.. 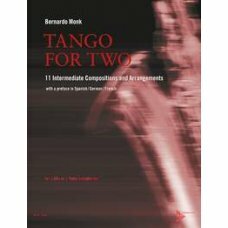 TANGO FOR TWO SAXOPHONE BOOK .. TANGO PASSION 2FLUTESIntermediate-level tango classicsTango is full of life and passion - the fact t.. 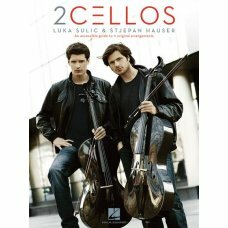 TANGO PASSION FOR 2 CELLOS• Engaging tango classics by Astor Piazzolla, Vicente Greco, Agostín Bar.. Tango Violin DuetsTangos by Carlos Gardel arranged for 2 violins Volver Por una cabeza Mi.. 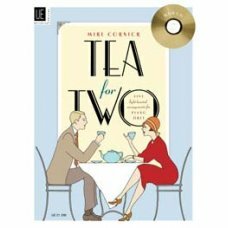 TEA FOR TWO (CORNICK) PIANODUETS .. 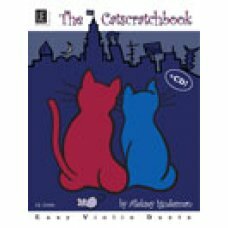 The Cat Scratch Book, easy violin duets10 violin duets, all about cats, to challenge, provoke and ab..